them using our mobile app for Android and iPhone. 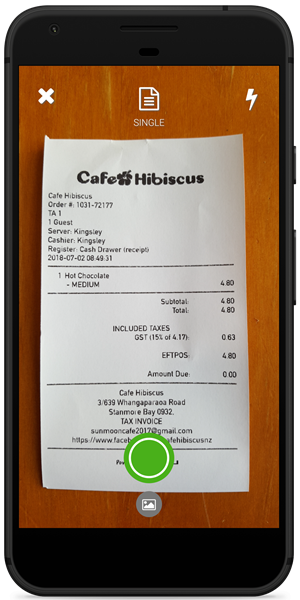 Scan and submit multiple receipts in one go simply by snapping photos of your receipts. You can even combine multiple images into a single receipt for those large or double-sided items. The relevant exepense information is extracted from your receipts in real-time. 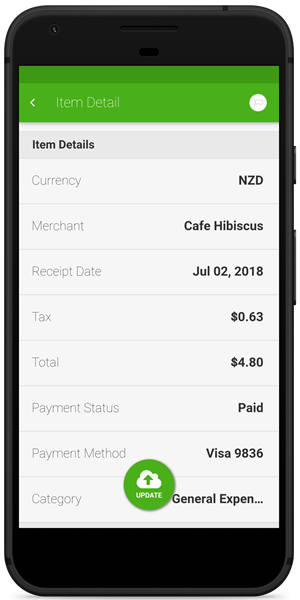 Your expense information will be ready for review and any modifications within 5 seconds of submission. 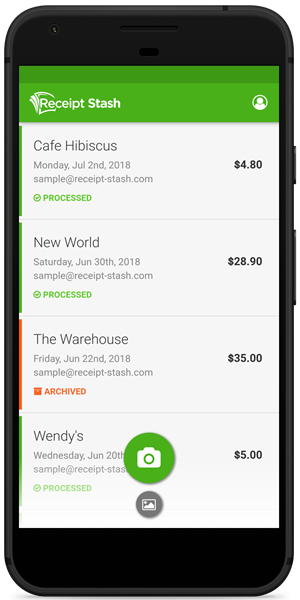 Create peace of mind by knowing that all your receipts and invoices are stored securely in a single place. You can access and easily search for your documents from anywhere and from any device. 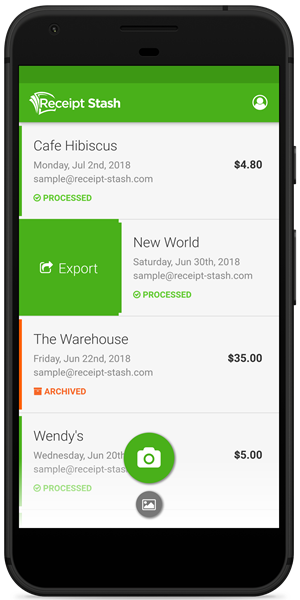 Seamlessly export your expense data to your accounting platform with the push of a button. Custom CSV exports are also a piece of cake for flexible data access or further analysis.